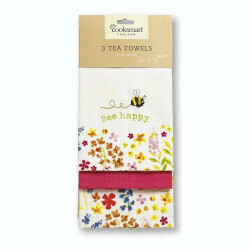 Discover this set of three hand towels from the bee collection. 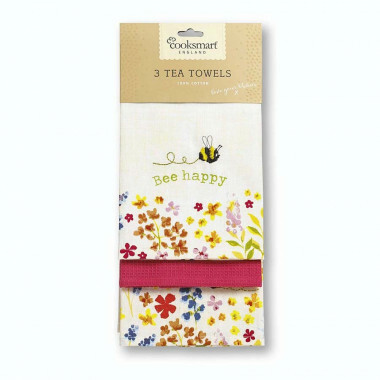 A set of three hand towels from the bee collection, one towel with embroideries and colourfull prints, one coral creped towel and one with colourful prints. Dimensions: 45 x 65 cm. The Bee Collection will freshen up your kitchen and bring joy with those little bees surrounded by flowers. 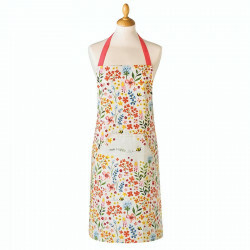 A lovely bee collection apron, perfect for cooking. 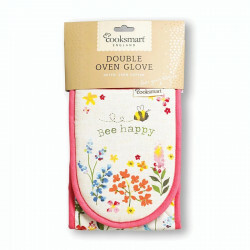 Discover this bee collection oven glove. 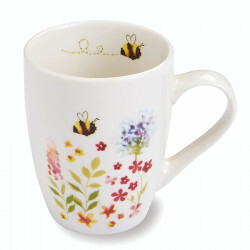 A nice ceramic mug from the Bee collection. 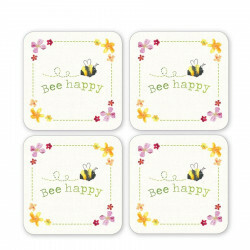 A set of 4 coasters from the Bee collection. 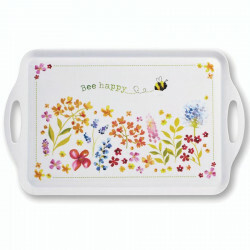 A large tray from the collection Bee.